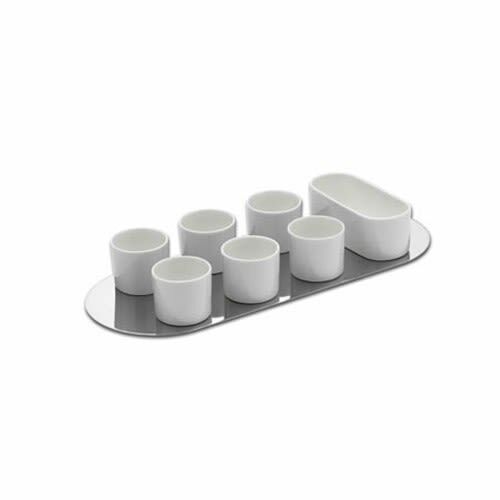 An oil dip set in luscious steel to serve appetizers and aperitifs. Created by the creative mind of Liliana Bonomi for Serafino Zani, it is equipped of 1 china bowl, and 6 little chine bowls for individual oil dip portions. What's more, Festa is apt both to a modern plank and a more classical one.